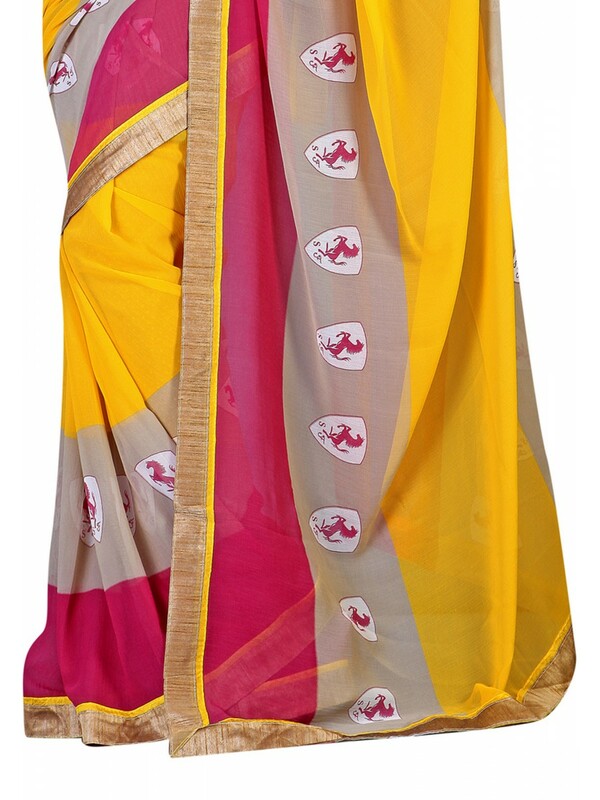 Have an upcoming event , grab this beautiful yellow and pink chiffon printed saree. The colours are mesmerizing and to add to the charisma of it, the saree is laced with golden frills on the borders. Its a glamourous saree for any occassion. Buy Fabdeal Printed With Lace Border Saree online at cilory. This saree is a must have in every woman's wardrobe.